The Contemporary Improvisation Department opens up the year with a faculty concert, featuring performances by Ran Blake, Hankus Netsky, Eden MacAdam-Somer, Joe Morris, Nima Janmohammadi, Jerry Leake, Lautaro Mantilla, and many more! 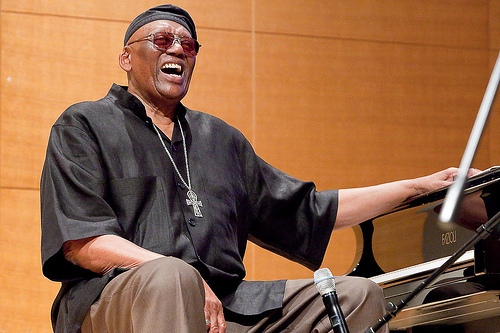 In the last few months we have seen the deaths of several fascinating pianists, Geri Allen, Cecil Taylor, Aretha Franklin, and now Randy Weston. I’ll never forget my meeting with Randy Weston in late-July, 1957. He was employed at the Avalon Restaurant Hotel in Lenox, MA. At the time, I was a student at the Lenox School of Jazz, my first of the four summers. ll always remember Randy’s spiritual and musical guidance. I only had four lessons with him at the most, but I remember we looked at his written music, talked about rhythm, the essence of life, the need for kindness… About that time, he released a 10-inch LP for Riverside on the music of Cole Porter and he seemed well known in the Berkshire community. One time, I tasted some of the delicious food he cooked. This was either at the Avalon or the Wheatley Music Inn. 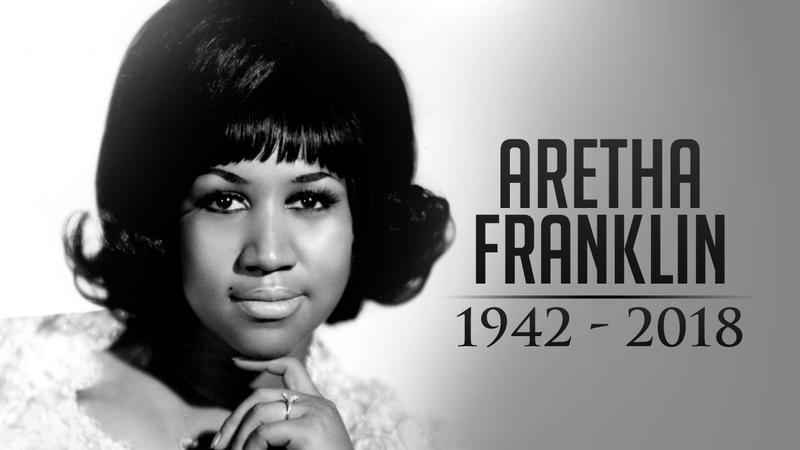 Throughout the years, we would meet in passing and he would always acknowledge me, and later in life, by first name. 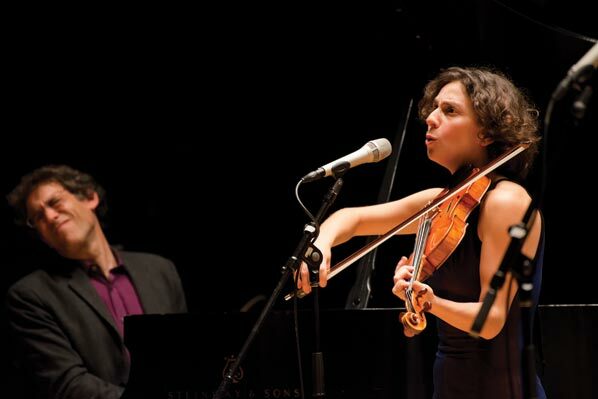 Randy has no bigger fans then two important musicians, Hankus Netsky, co-chair of the Contemporary Improvisation Department at New England Conservatory and Danilo Perez, founder of the Global Jazz Institute for Berklee School of Music. Hankus invited Randy many times as a guest since the departments inception in 1973. It was an incredible delight and experience to hear Randy’s wonderful collaborations with one of the greatest trombonists, Melba Liston. I’ve also never heard a solo piano concert like what I heard from Randy for the Global Jazz Institute- only a few years ago. 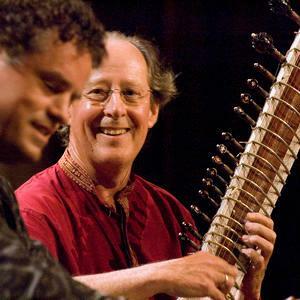 He’s appeared everywhere in Boston, MIT, Berklee, New England Conservatory, RegattaBar, Scullers, etc. and all over New York with marvelous groups. But, to hear him play solo with his array of sounds! His concessive collages where the rhythms of Africa would collide with New York City, and there was always the country and nature. Whether the sounds of crickets in the Berkshires or the beloved sounds of Africa. He never used ornaments that are gratuitous. They always came from his soul. There is a fantastic clarity, a beat of spirituality, and appreciation of earthly pleasures in his music. 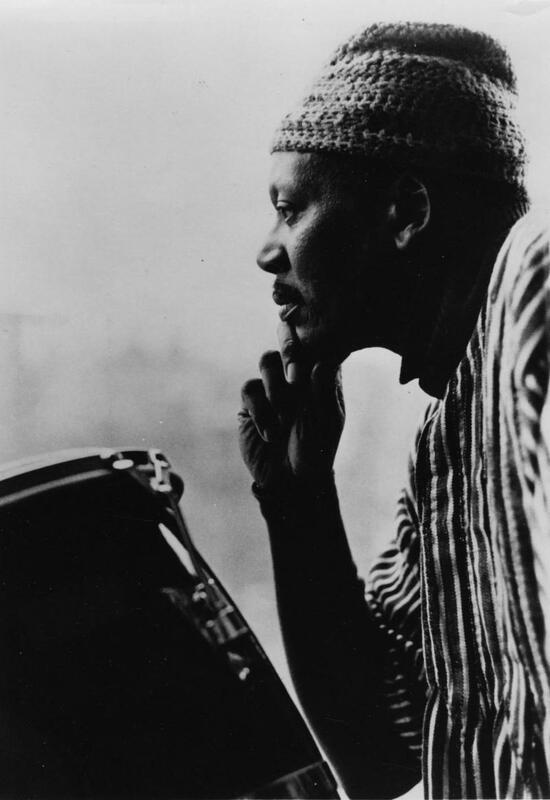 There was no one quite like Randy Weston. He will be deeply missed. Join the New England Conservatory community in celebrating, honoring, and remembering Peter Row, who was a beloved NEC faculty member and former dean and provost who made significant impact during his decades at the Conservatory. He passed away on April 2, 2018. The pianist Ran Blake began his second set at Kitano playing a simple ribbon of melody with loneliness at its heart, each note ringing for long enough to sound almost hollowed out. You might have wondered if he wasn’t quoting – faintly, eerily – from Stevie Wonder’s “Overjoyed.” Then Mr. Blake, 83, wearing sunglasses on an unlit stage, shot a few cold and corrosive chords across the keyboard’s upper register before coming back to that lulling phrase one more time. This is not how Stevie Wonder’s song works, or most traditional songs, for that matter. But as a solo pianist Mr. Blake likes to move slowly and darkly through his music, sounding both implacable and open to anything. Every once in a while he’ll suddenly dart off somewhere quickly, as if he’s just discovered electricity. He doesn’t let melodies keep their typical shapes; he plays them like a thread dropped onto the surface of water: They float and curl and drift on. I’m not so sure he was referencing “Overjoyed” at all, honestly. 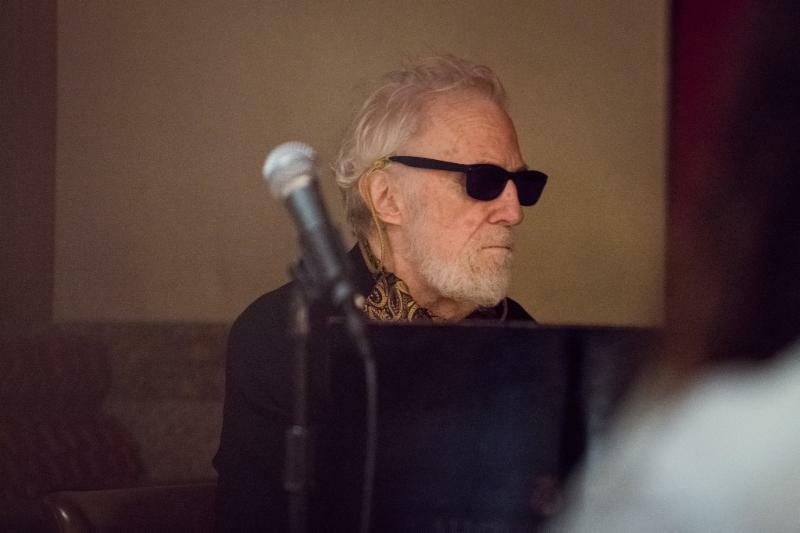 And I’m only 80 percent certain the next piece he played was “Laura,” the wraith-like ballad that he first covered with the vocalist Jeanne Lee, on their classic album “The Newest Sound Around,” from 1962. Ran Blake’s most recent album is “Town and Country,” recorded with the vocalist Dominique Eade. It was released on Sunnyside Records in 2017.